Comedy Central Invades Boston For Three Days Of Comedy Tapings! 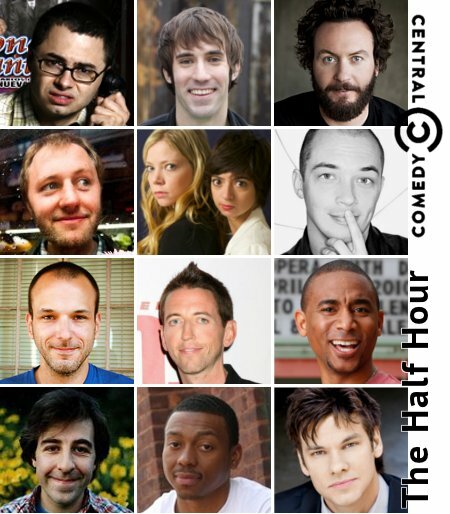 See fantastic comedy veterans and rising stars tape their half hour specials for Comedy Central. Comedy Central is shining the spotlight on some of the funniest and most unique comedians out there today with a new stand-up series filmed in Boston -- THE HALF HOUR. The best part is you get two comedians per show for an hour of stand-up heaven while the TV audience gets THE HALF HOUR. Join Joe Mande, Rory Scovel, Jesse Popp, David O'Doherty, Michael Palascak, Garfunkel & Oates (Kate Micucci & Riki Lindholm), Neal Brennan, Na'im Lynn, Brendon Walsh, Nick Vatterott, Maronzio Vance and Theo Von as they tear up The Royale in their first Comedy Central solo specials. We know they will leave Bostonians begging for more. You can check the shows out for free as a special gift from Comedy Central. Click (here) to request tix. 0 Response to "Free: Tix To Comedy Tapings @ Royale - 2/28 to 3/1"